Enough books have been written about Cuba to fill an entire library, but few take the approach Chen Lizra does with "My Seductive Cuba." Deeply personal and always engaging, Lizra - an Israeli-born dance instructor and entrepreneur now living in Canada - fuses history and politics with her real-life experiences among the people of this often-visited but little-understood island. The result is a moving portrayal of Cuba on the verge of historic change. 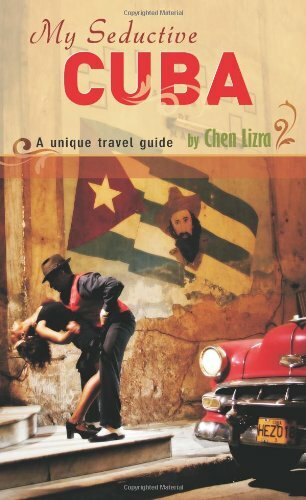 Packed with practical information on where to go in Cuba, what to pack and the best ways to get there, "My Seductive Cuba" also helps readers ferret out persistent opportunists while finding Havana's best reggaetón, flamenco, jazz and salsa clubs. A glossary of Cuban slang and a description of the Santería religion - along with a vivid chapter titled "Getting Possessed" - makes Lizra's humorous travel guide even more compelling. This is one book you won't want to be without, even if you don't plan on going anywhere! This is a shockingly informative travel guide. Even if one is not traveling, it is not a bad book to pick up just to read for extra information or pleasure. 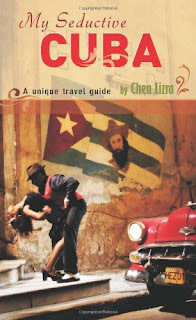 The author describes Cuba along with the typical travel guide features, the reader will learn a bit about the cultures and sub-cultures. The author shows the reader Cuba through her eyes, the reader will enjoy the scents and colorful Cuba that the author portrays. The book is a definite pick-up for anyone thinking of traveling to this beautiful country.